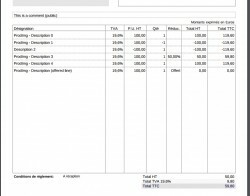 More skins or document templates for Dolibarr ERP/CRM. You can increase filtering by selecting a subcategory from left menu. Skins and Templates There are 48 products. Skins to modify the look of your graphical user interface. Gego Dolibarr Theme **** The base eldy theme is tweaked a little to add Background Colors & Padding to tables/tabs to make the Forms and Pages less cluttered. The use of bright colors and dull backgrounds give a better visibility and feel. Check out this theme. I propose another of my eldy-blue themes I propose another version of the theme eldy, this time in blue and much more successful by me. An eldy theme created by Laurent Destailleur and provided in all versions of Dolibarr. Based on MD Theme, I just change some few things like the main menu fixed and the personalization active by default. 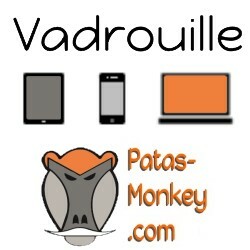 Vadrouille adds a checkbox on the login screen to activate the mobile interface of your Dolibarr. The use of the mobile interface only affects the user who chooses it; for the duration of its connection, without having to change the display nor settings and without changing the display of other users. The Dayelin Summer Theme is the most modern skin created by Servicios Virtuales de Guatemala, S.A. In this sking you will find the green colors, which make dolibarr look more striking. Kenya-White Theme is the most modern skin created by Servicios Virtuales de Guatemala, S.A. In this sking you will find the colors white, black and different grays, which make dolibarr look more striking. Can edit colors of default skin (can also change font size). Personalizing can be done globally or per user.